Three years ago on this day we were facing Kaylie's first brain surgery. I remember those days so well. The fear, worry, crying moments, happy moments, even moments of looking at other patients thinking to myself, "I hope we never have to deal with that…" or "This is it… we are good now." Now we are 4 months out (almost 5) from her 2nd surgery. 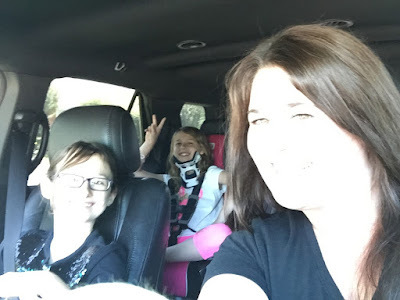 As I look back on everything, Im still happy with our choices we have made, the doctors we have chosen to care for her, the lessons I have learned about these conditions, and others as patients or caregivers. Kaylie starts back to school little less than a month. She is very excited to go back, and to see all her friends. And as she will continue to still heal, I will always worry a little about her at school, but I am learning to let go. She knows what she can and can't do, and I have to trust in that as she gets older. She has been riding her bike again, roller skating in the house, being a normal child again. PT has even gone down to once, every 2 to 3 weeks. It's time to get back into a normal routine. 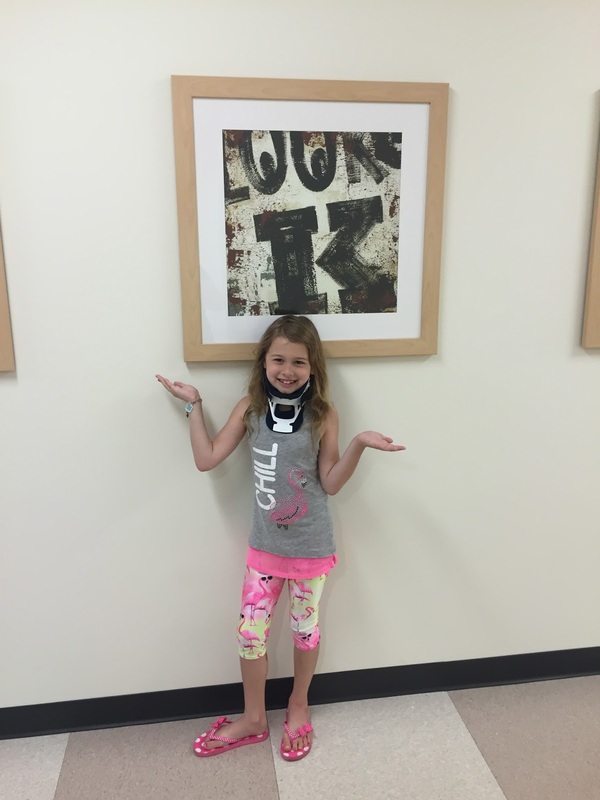 to talk about her fusion surgery…. where has the time gone. We past 3 months post-op…. and will soon be 4 months post-op on the 11th!!! I seriously couldn't ask for anything better at this time!! 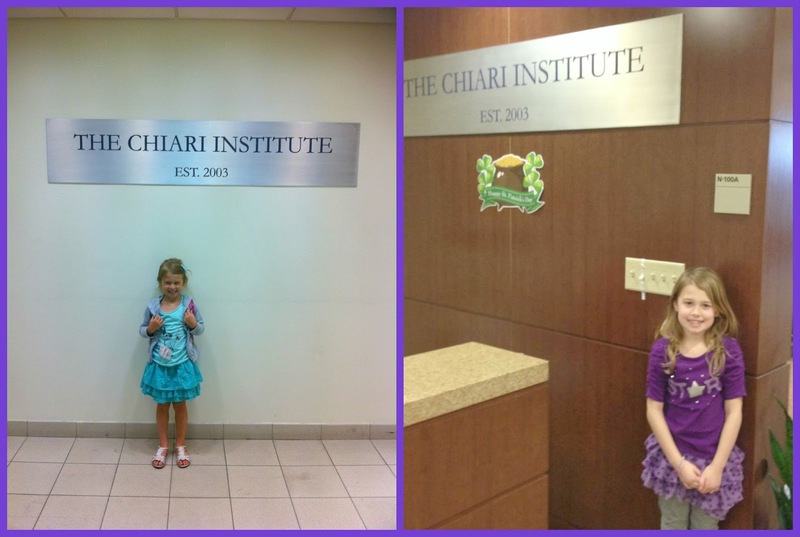 Sorry for no 3 month post-op update… but to say the least, we have been living life… for us, not chiari. And this is a permanent change. 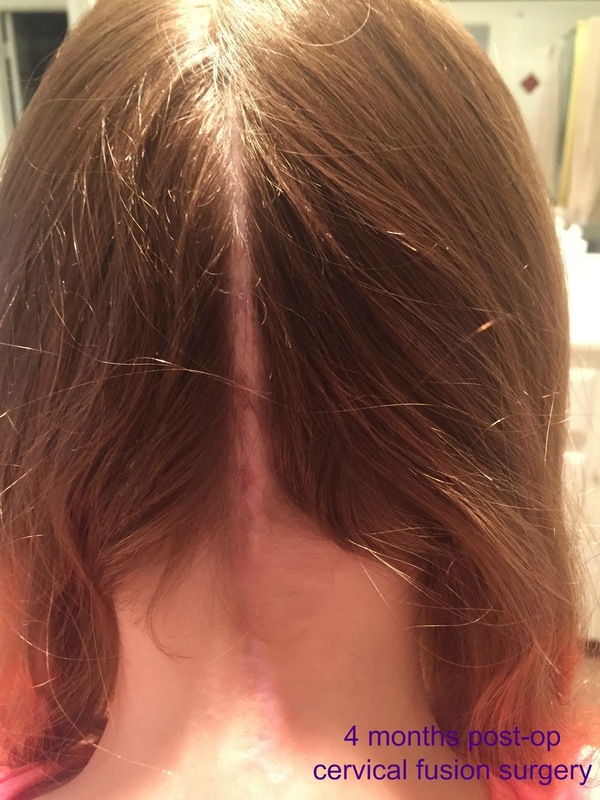 As of a 4 month post op update, she is doing great! And as you can see, healing quite nicely! We have also just dropped her PT down to every 3 weeks. 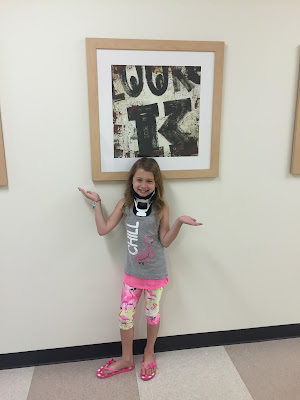 She was measured today at PT, and her range of motion has gone from 10 to 30/40. Thats HUGE improvement!! Her PT guy does mostly cranial sacral massage/technique. 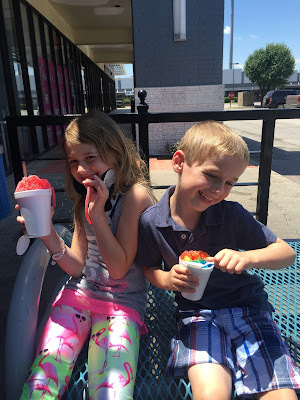 School ended, summer began with lots of rain… I mean, lots!! We have had some flooding in our area… our backyard is really big, so it was never got close to the house… and after this first flood in the pics below, the kids never played in it again… I was too worried about mosquitos. We also started a garden, mostly seeds planted. It took awhile to get itself started due to all the rain, but has you can see… it is thriving now!! The kids are excited about all the veggies that are blooming. When 3 months came up in early June, Kaylie was due for a CT scan. We had it done here locally, then got the CD and sent it to Dr Rekate & Dr. Insinga. 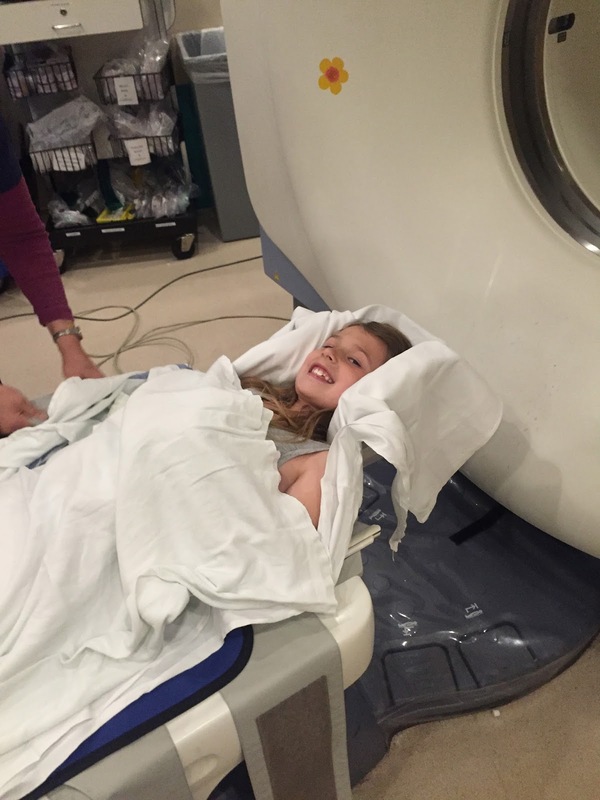 Kaylie did great during her CT, no sedation needed… but CTs are very short… nothing like MRIs. In the CT pics above, the one is 2 days before surgery. Then the other two are her 3 month post op… its hard to see the change, and to the everyday person, your pretty much looking at hardware. 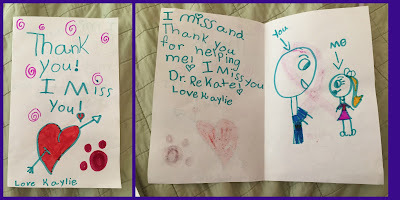 Kaylie wanted to send the doctors some cards, she is so thankful to both, but to Dr Rekate especially. After they received the CD, they reviewed it, along with the report that I emailed them a few days later. A Skype appointment was set, which was last week. It went VERY well. Everything looks great, and in place. She hasn't had but maybe a handful of headaches since the surgery. Which is Amazing!! She is happy, and herself. She is still in PT, and probably will continue that for awhile. She is still healing. On the CT there was a small pseudomeningocele formation. This is spinal fluid (kind of built up), he said over the spinal cord area of where her surgery was at, it just needs more time to heal. He is very pleased at her healing as well, and how her scar looks. And we will see him a year post op, unless something comes up! We celebrated "great" CT results with Snow Cones! Kaylie also had her first dentist appointment since her fusion surgery. I was a little nervous about this appointment. I was scared about her being able to sit through it, having her head back…. but as soon as we walked in, that was the least of my concern! 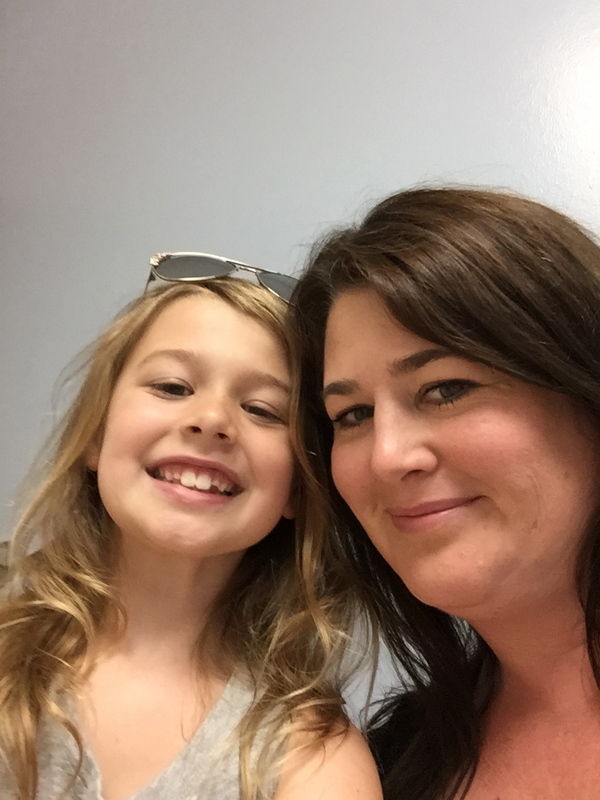 Im so thankful for the great dentist we have… they are always up to date on the kids medical history, and whats going on with them. 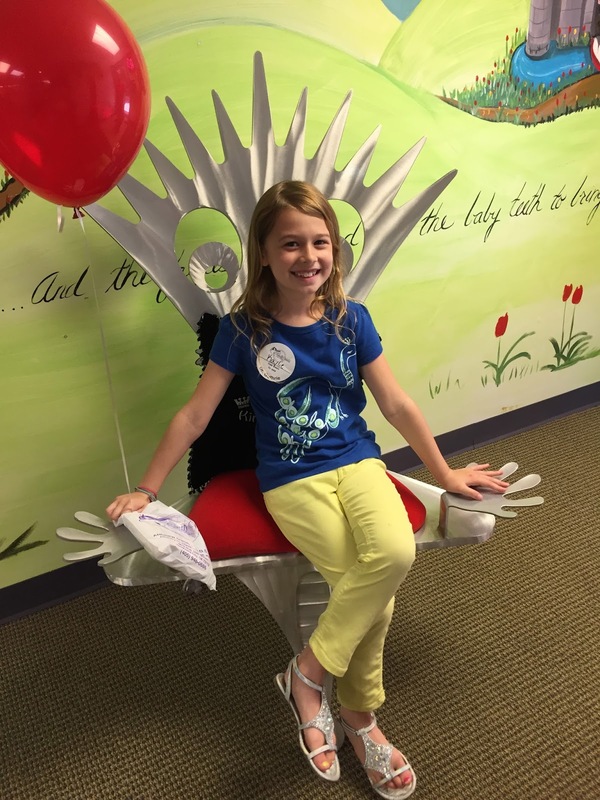 As soon as Dr Guthrie, from Small World Pediatric Dentistry in OKC heard Kay had a fusion… he stopped and contacted Dr Rekate immediately. He wanted to make sure Kaylie didn't need to have antibiotics due to having hardware put in, prior to the dental exam/cleaning. (I had never thought about this before!) None was needed and Dr Rekate just told him not to hyperextend her neck. Everything went perfect, and this mama was happy!!! 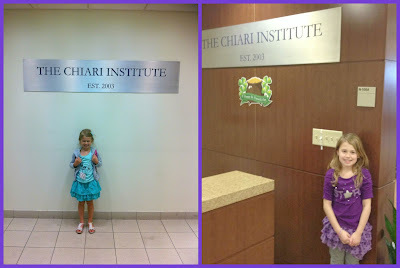 We then headed to Dallas for a Rheumatology appointment. 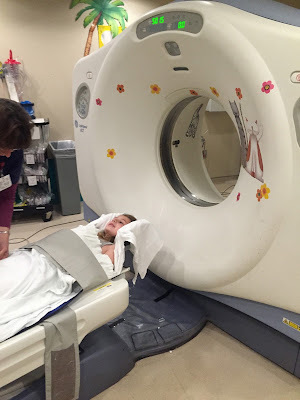 That appointment went great, the doctor we saw was great too, and they decided to test Kaylie for a few more things. Those results have come back normal, but the Rheum doctor told me to not always focus on the bloodwork, that things can come back normal… just not be showing up yet. But for now… things are good… so we are leaving it at that. We won't see her again, unless symptoms flare up more. One concern she had about Kaylie's EDS is her ankles, I guess they are "rolling" pretty bad… she suggested that Kaylie wear tennis shoes more often with special inserts to help strengthen and stabilize her ankles better. Just the girls went down to Dallas. The other fun summer things we have done, is that we built a Lemonade Stand out of used wood pallets. 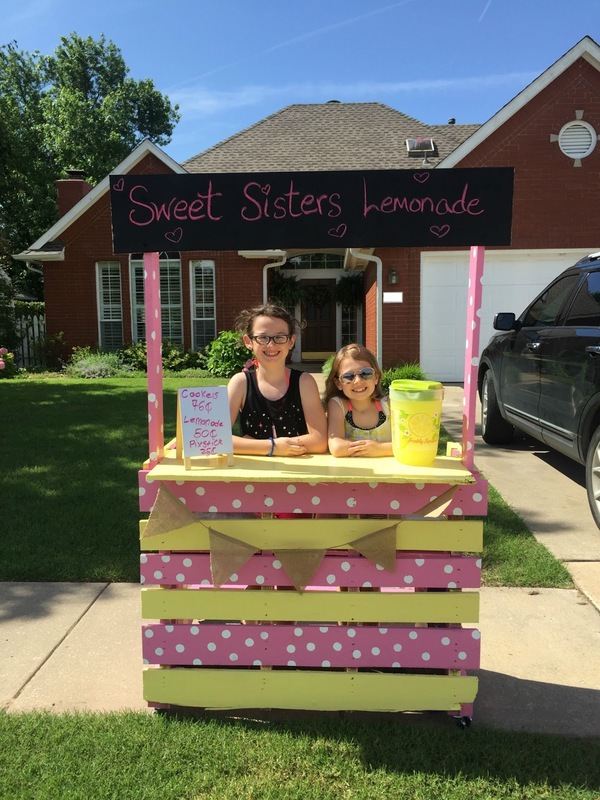 Well, I built it, the girls helped paint it…. that was a little bit of a mess! 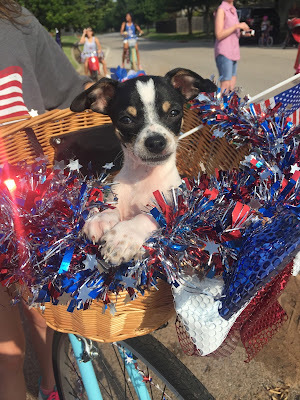 A couple weeks before the 4th of July, we got a new puppy!! Meet "Okie"! He is a chihuahua, you can't see his body below, but his body looks like a cow, spotted! His ears haven't come up yet, he still has a few more months for that to happen. Coco, our other Chi, just loves him. They play all day, or at least until Okie zonks out! Our 4th of July was very low key… we did the neighborhood thing, then went swimming, then saw a local fireworks show. It was nice, and relaxing.